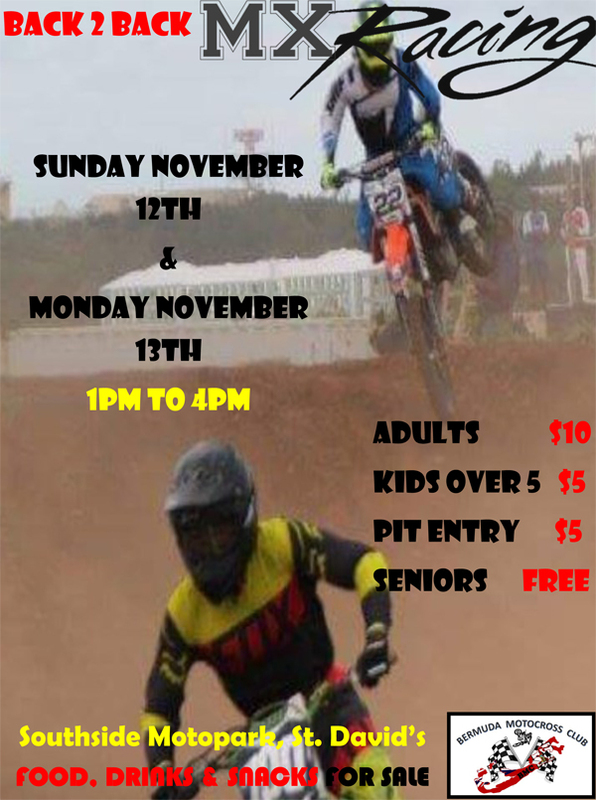 The Bermuda Motocross Club will be holding “Back 2 Back” races on Sunday, November 12 and Monday, November 13, with the action to get underway at 1.00pm. A spokesperson said, “There is motocross racing this Sunday as well as on the holiday on Monday at Southside Motopark in St. David’s. Races start at 1.00pm and go until approximately 4.00pm. Kids over 5 are $5, adults are $10, and seniors are free. Food, drinks, and snacks will be on sale [cash only]. “Riders start from the age of four and go up to 40+. There are seven classes and each class does three races each to make for an exciting afternoon of racing. If spectators wish to be close up to the action, they can pay an additional $5 for a pit pass and stand near or on the track in designated areas.